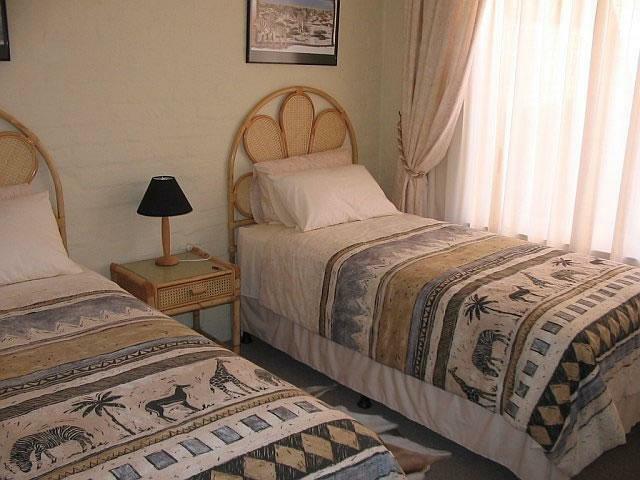 In Yzerfontein along the Western Cape West Coast Region of South Africa Lewens-Essens Bed and Breakfast is situated in a Beach location. The owners found the lewens-essens medicine bottle on the plot in Yzerfontein and decided that there was no better way to get "essens for one's life" than by enjoying the wonderful views and sun sets from the front stoep of the Lewens-Essens Bed and Breakfast. The historic bottle was mounted with the name and can be seen on the front of the house. Whale Watching: From August to January you can watch the whales mating from our stoep or frolicking in the water. Rock angling: In summer the well known Hotnots fish can be caught from the angling spots such as "Deurspring, Netjiesgooi and Grasbank" while Galjoen, a wonderful winter fish, will be found at "Die Vleie, Freddie se Klip and Swemgat. 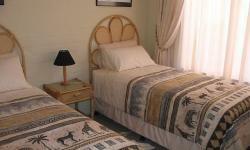 Surfing: Yzerfontein is well known for its lovely and safe Beaches and surfers love to come here to ride the waves. Hiking: A 16 mile stretch on the lovely white sand Beach, offers one the exercise you need to get fit. Boat trips: Can be arranged to Dassen Island . Hiking trail: Follow the printed footsteps along the coastline and discover a unique side of Yzerfontein such as "Duiwenes, Spuitgat and the Dassies". Buffelsfontein Game and Nature Reserve have a wide variety of antelopes as well as giraffes, zebras, buffalo and many other animals can be observed.